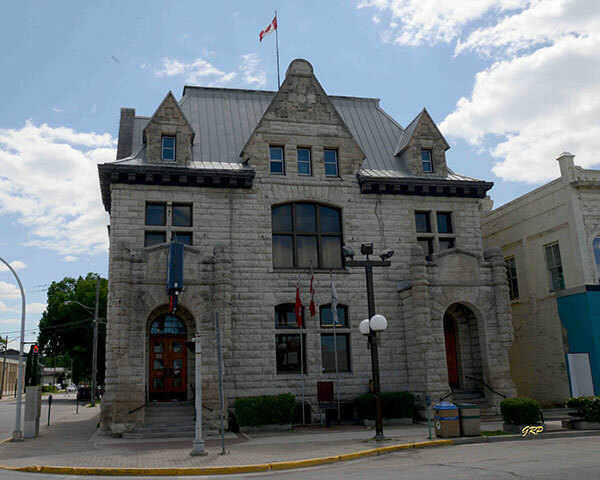 The former Dominion Post Office in Portage la Prairie was designed by Thomas L. Fuller, one of Canada’s foremost architects and the designer of Canada’s first Parliament Buildings. The building is an example of Fuller’s interpretation of the Romanesque Revival style. The 2½-storey hammer-faced limestone building features a steep mansard roof and central gable. Originally, the ground floor housed the Post Office while the upper floor held the Customs and Revenue Office. Political controversy in Ottawa delayed construction, but the building was finally opened in 1898. In 1920, an addition was made on the south side. 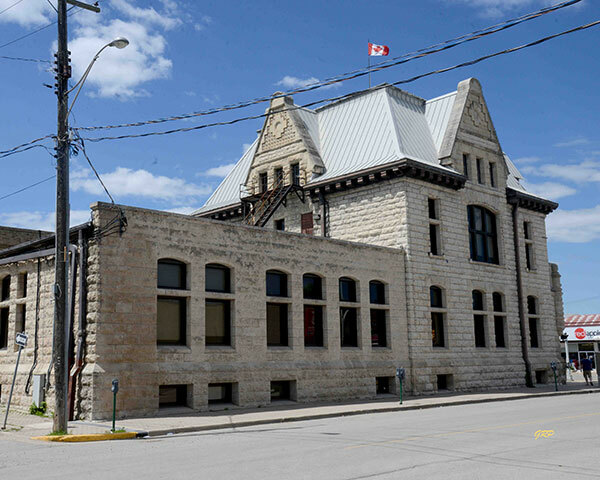 The building became the Portage la Prairie City Hall in 1960 and has provided spaces over the years for the Magistrate’s Court, Youth Court, RCMP detachment (with its jail cells), library and arts centre. A plaque was erected beside the building in 1983 by the Historic Sites and Monuments Advisory Board of Canada. It commemorated the building as a representative of small, urban post offices designed by Thomas Fuller, and the fact that it was largely intact and had not undergone major exterior renovation. It is a municipally designated historic site. 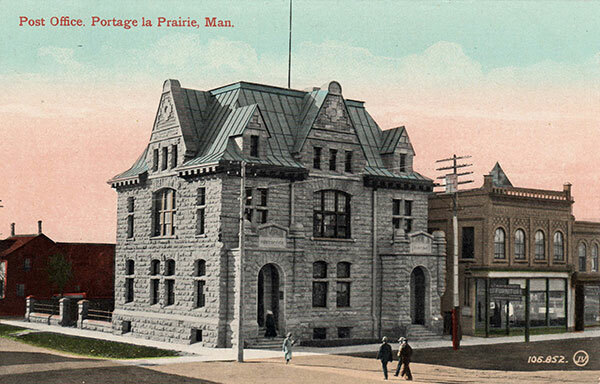 Portage la Prairie Dominion Post Office Building, 97 Saskatchewan Avenue E, Portage la Prairie, Manitoba Historic Resources Branch. This page was prepared by Tim Worth, George Penner, and Gordon Goldsborough.